Triple H underwent surgery today to repair the torn pectoral muscle that he suffered at Crown Jewel. WWE.com noted that the surgery was successful, that Triple H will now undergo intensive rehabilitation, and that the timetable for full recovery is currently undetermined. 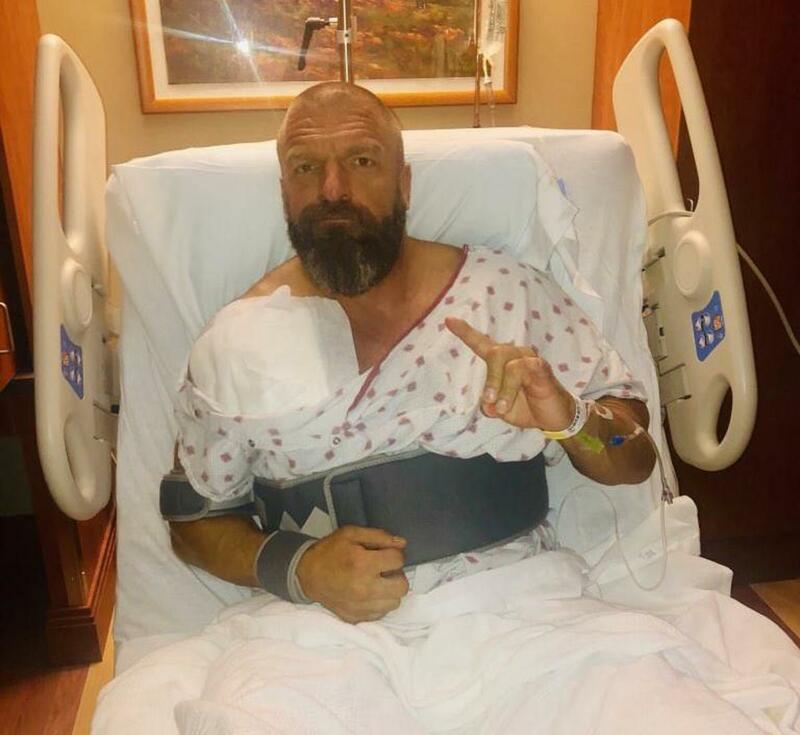 Triple H also posted an update after having surgery "Out of surgery, happy to report all is well. Thanks to excellent medical care of Dr. Dugas and his team and all the well wishes, messages, tweets, and texts I got over the weekend. Road to recovery starts... NOW. #GameTime"
The injury happened when Triple H & Shawn Michaels teamed against The Undertaker & Kane in the main event of Crown Jewel in Riyadh, Saudi Arabia last Friday. Triple H was hurt early in the match when he was whipped into the corner and took a bump over the ropes. Triple H finished the match despite the injury, eventually pinning Kane after hitting the Pedigree.